Trail’s End Mountain Biking Hotel are very privileged to have some of the country’s top mountain biking trails right on our doorstep. which often feature in the CAPE EPIC and WINES2WHALES routes. The building, in the heart of some our country’s most spectacular mountain trails, has done away with its machines and sawdust and been tastefully transformed into a contemporary space for adventure seekers and nature lovers alike. The Overberg region is a hot spot for the thrill-seeker and sports enthusiast. With breathtaking mountains, the vast ocean and calming rivers you can find all types of outdoor activities to keep you and your family busy. We highly recommend the CAPE CANOPY TOUR zipline. If you are feeling very energetic you can even cycle there and back! BLACK PEARL ADVENTURES can take you sea kayaking. Family day passes are available at OLD MACDADDY where activities like archery, zorbing, supping and clay pigeon shooting are on offer. Horse riding can also be arranged. 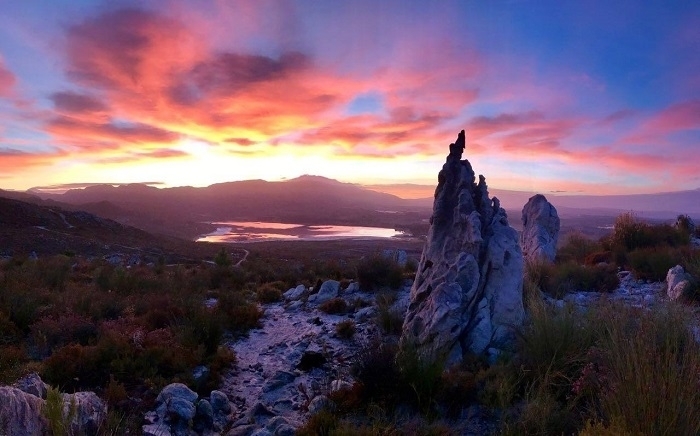 Grabouw and its surrounding areas will always have something up its sleeve! 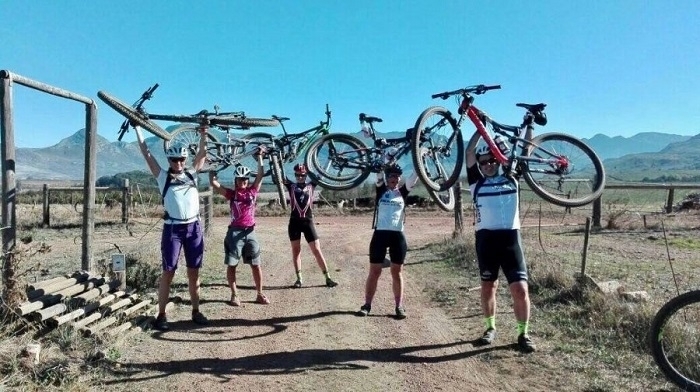 And we here at Trail’s End Mountain Biking Hotel certainly recommend you taking an adventure! We are spoilt for choice here. Our area has a fantastic reputation for wine, craft beer and cider. So, if you fancy a more sedate experience of our area, or want to reward yourself for endeavours out on the trail, why not take a trip through some of the ELGIN WINE ROUTE or visit some of our CRAFT CIDER producers? Food-wise, there is a wide variety of choice, from farm stalls to pizzas to more refined dining. 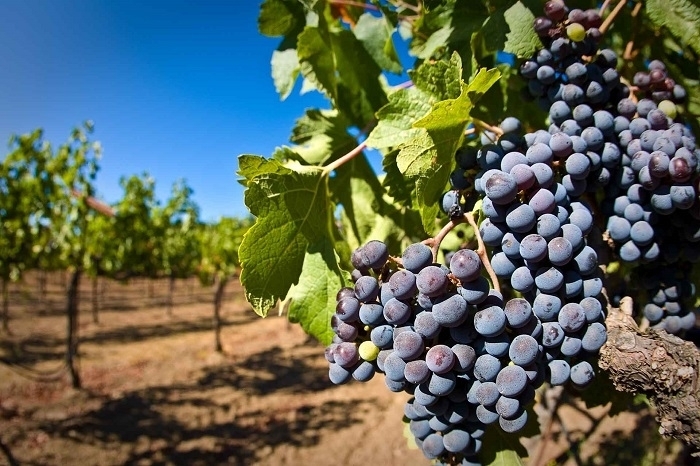 Check our the Elgin Valley Tourism website for a full list. 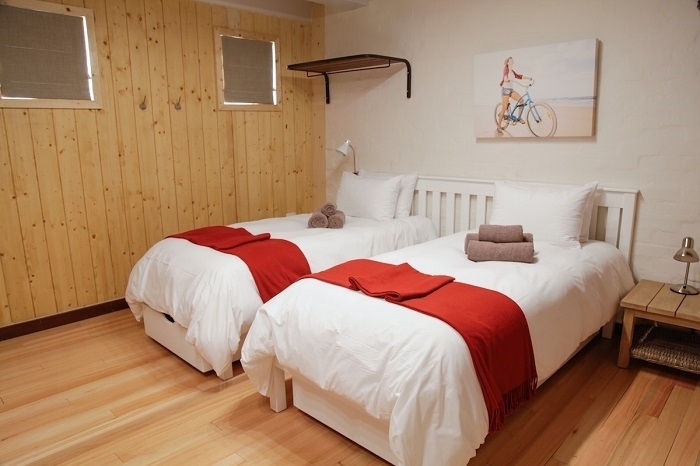 Our year-round mountain biking and outdoor adventure hotel has 16 rooms in total, all of which are fully serviced. 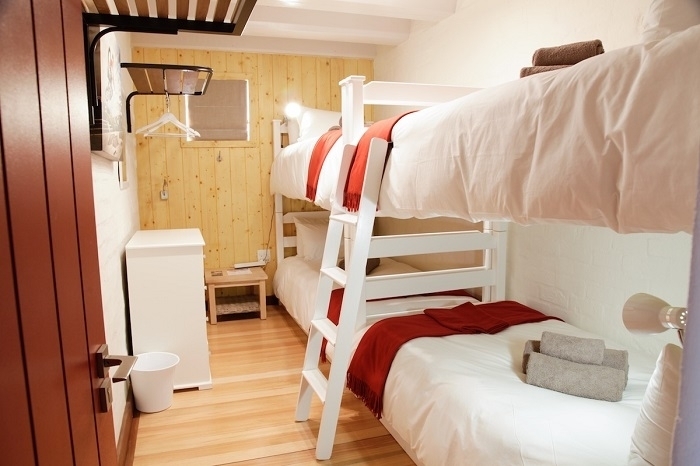 Trail’s End Bike Hotel rooms can be found on the ground floor, Rooms 1-8, and are in a dormitory style. 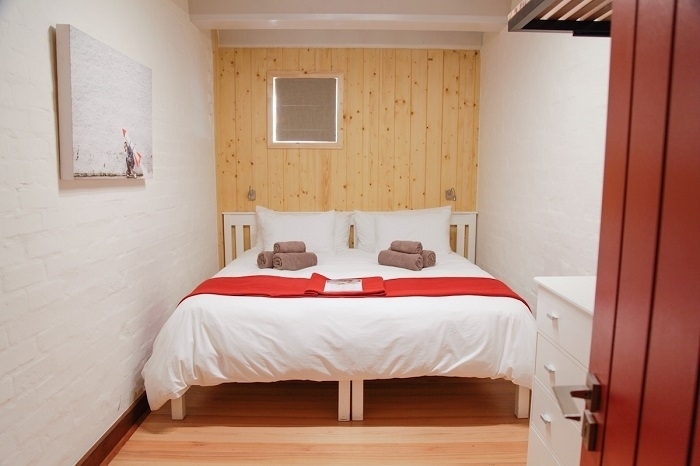 All the downstairs rooms have shared facilities with separate men’s and ladies’ bathrooms and include a wheel-chair friendly unit. Cot facilities are available for children under the age of 2 by prior arrangement. 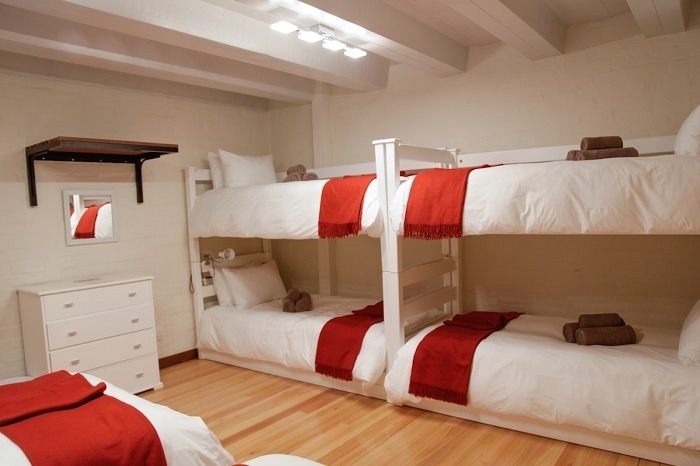 The rooms vary in price, numbers of beds available and layouts. They are diagrammatically illustrated on our NIGHTSBRIDGE BOOKING site for ease of reference. 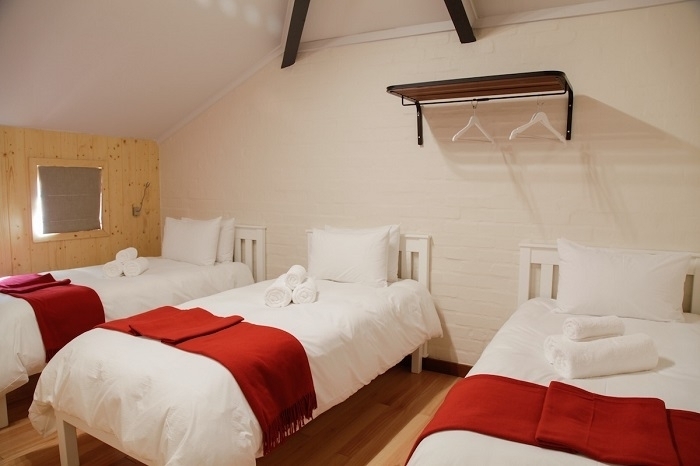 Please note that bookings at Trail’s End are made per room. 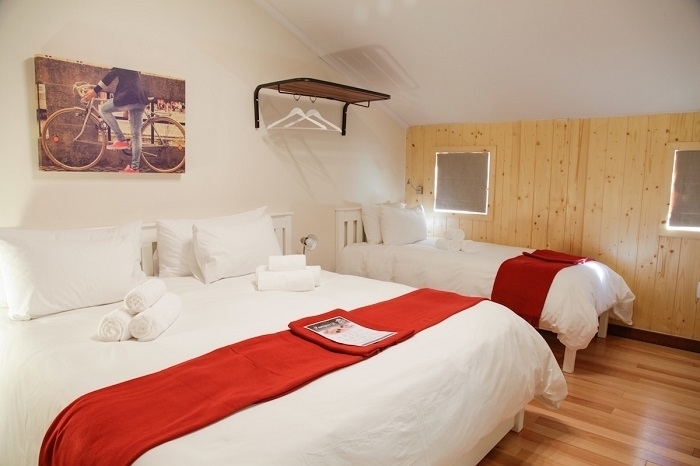 To make your stay with us as affordable as possible it is advisable that you try to co-ordinate your groupings with the room sizes and number of beds therein. STANDARD BREAKFAST IS INCLUDED WITH EACH BOOKING. Dinner is available on request. 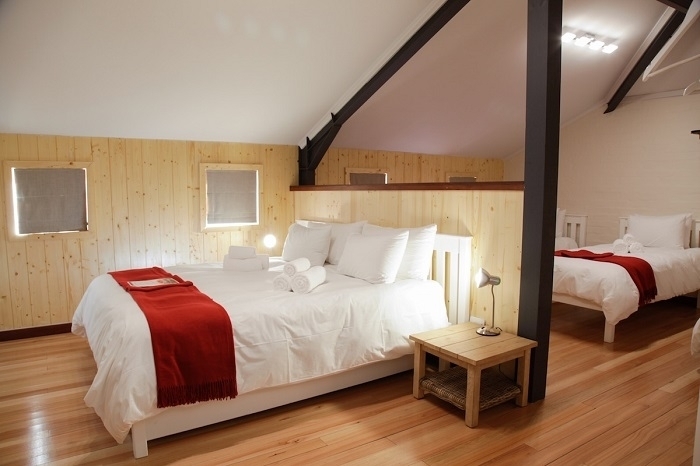 The upstairs mezzanine level, Rooms 9-16, are a mix of double, family and team rooms. 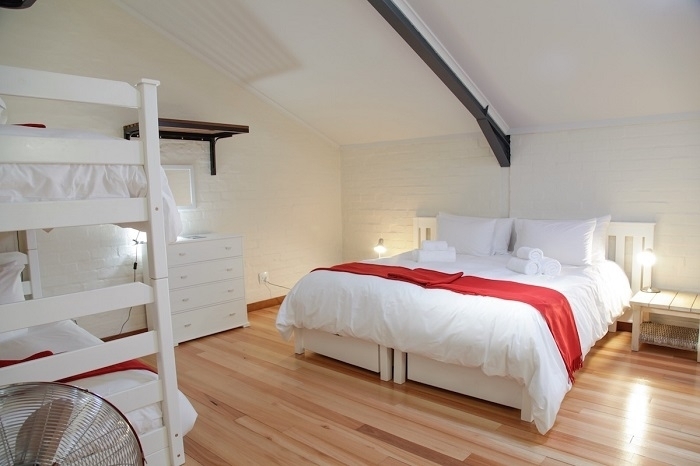 All of the mezzanine rooms have en-suite bathrooms.